Derrion: I still cannot believe how fast January is going by in the new year. 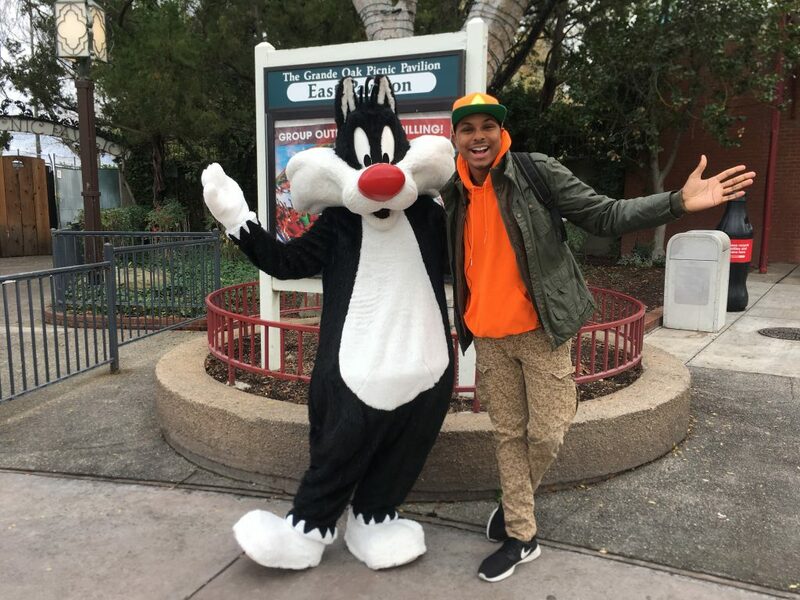 It feels great to be back at Six Flags Magic Mountain. This time around there were not many changes in the park, but it was still nice to visit on a weekend that was completely empty, the rain helped out as well! 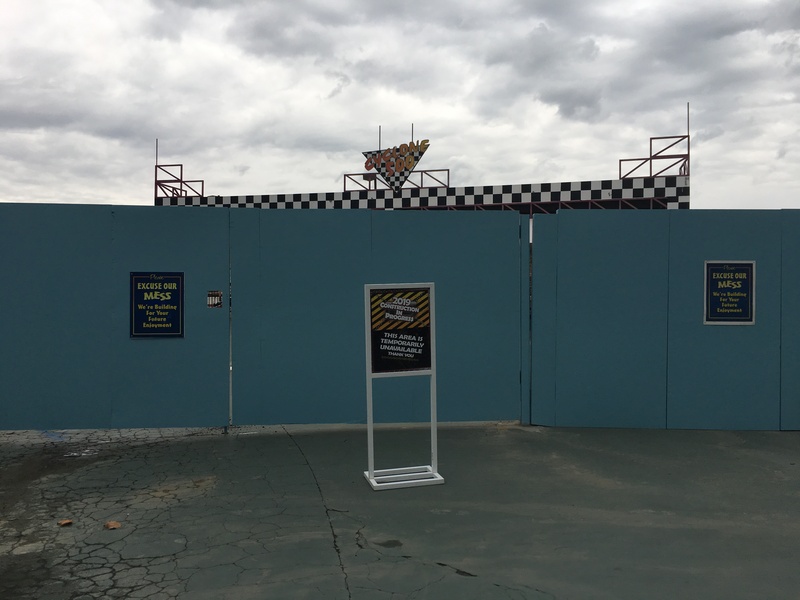 Let’s take a look at some of these changes, including a West Coast Racers construction update. It is always great to see a familiar face when visiting the parks. I had to give the cat some slack, after all he is almost 75 you know. 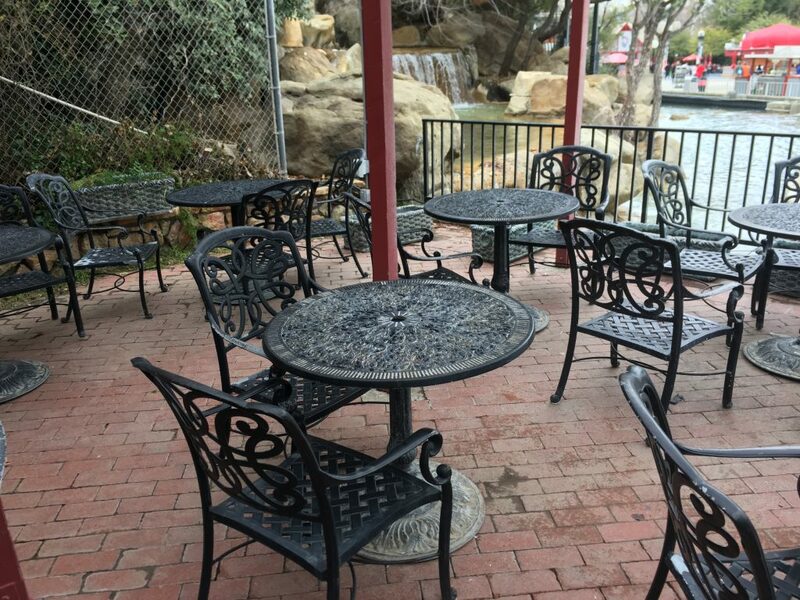 I decided to check out the Plaza Cafe. If you recall from our last visit this dining area was a complete mess, and I am happy to report that it was nice and tidy this time around. I enjoy relaxing here to get great views of the main plaza and Tatsu looming over head. Viper is alive and well. It was a great day to get some rides in as the queue line was back to being little to no wait. Although I did not need to use the single rider line today due to the minimal wait, it is still not available to guests. 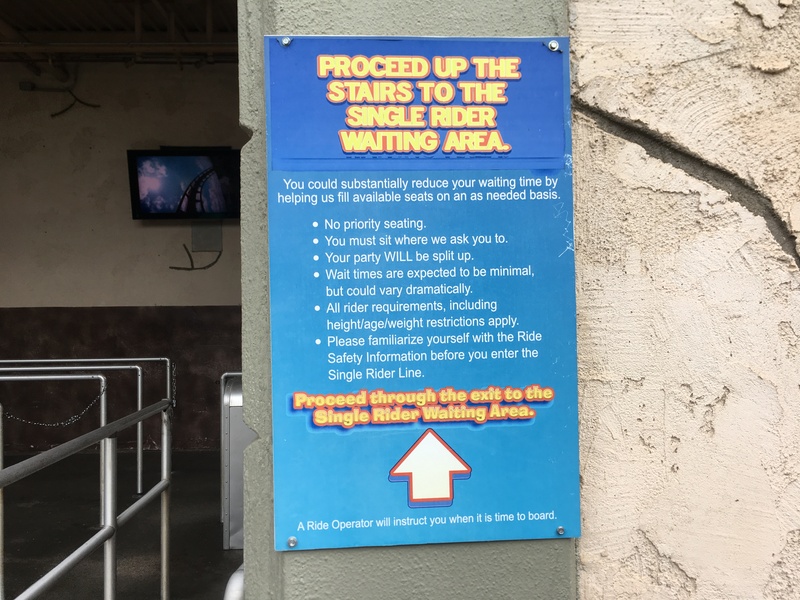 The signage can be found at the entrance, exit, and lower level queue zone that a single rider line is available. I know this is a very minor issue but it is a little misleading to guests. Unfortunately the holidays are more than 9 months away now and the next seasonal event will be Fright Fest 2019. I can not wait to see what will be in store for this year. 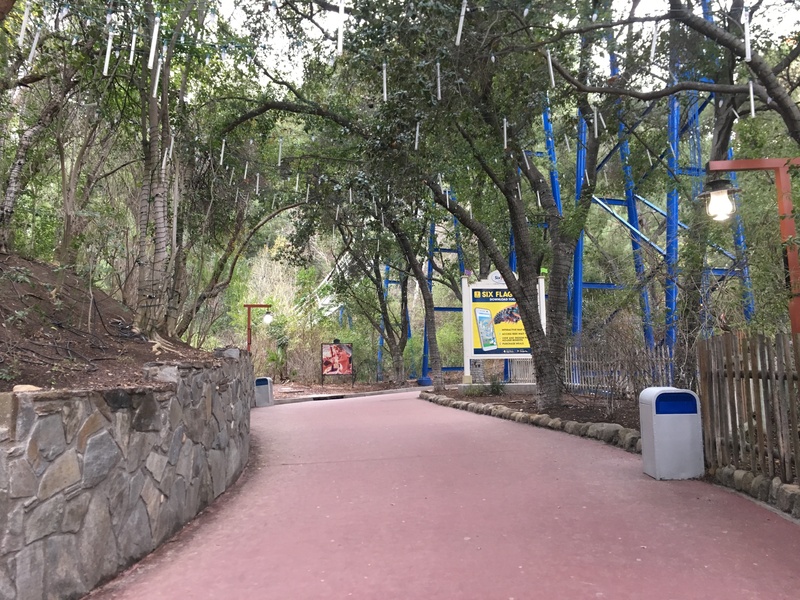 For now, many of the decorations are slowly being taken down to transition the park to normal operations from Holiday in the Park. 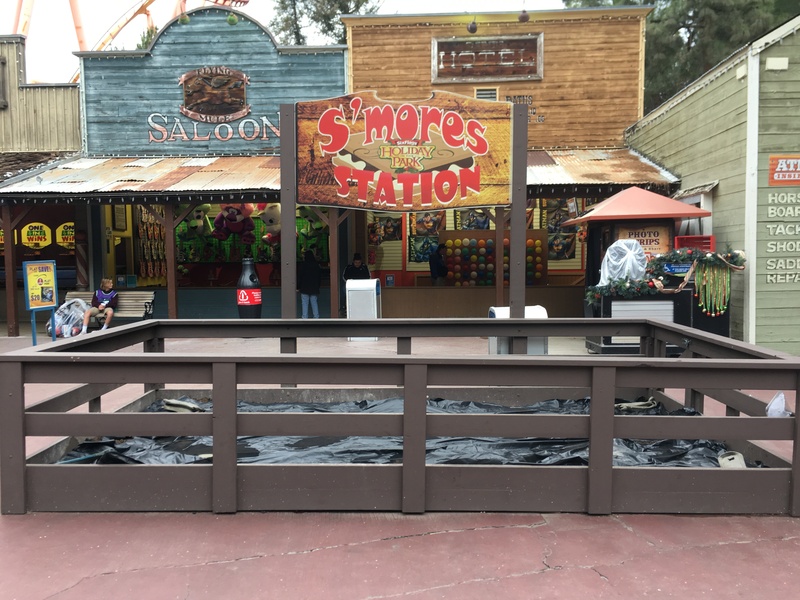 I appreciate that Six Flags Magic Mountain had these S’mores Stations during Holiday in the Park. I tried my very first S’more here and it was delicious. 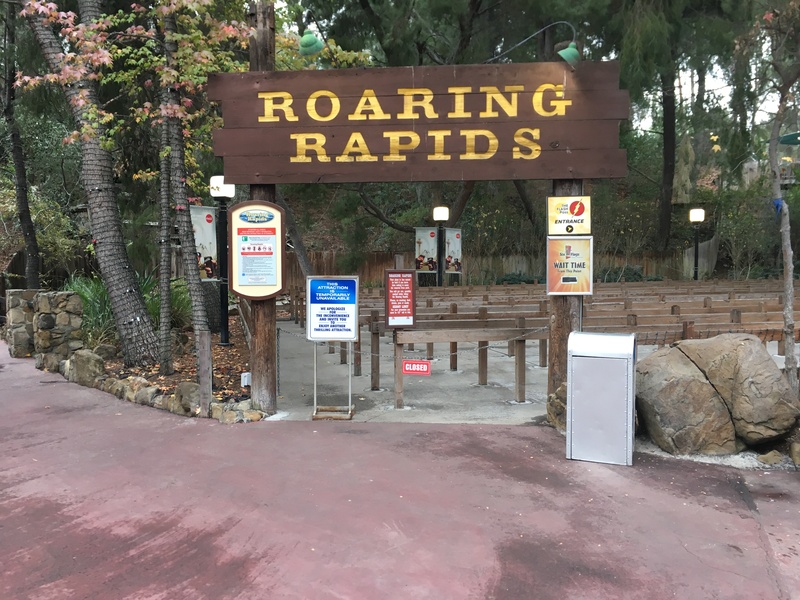 Just across the way, Roaring Rapids is still down for its annual refurbishment. After it was raining almost all weekend, it was nice to see the rain had stopped for a bit. How many of you have ridden a water attraction in the rain? 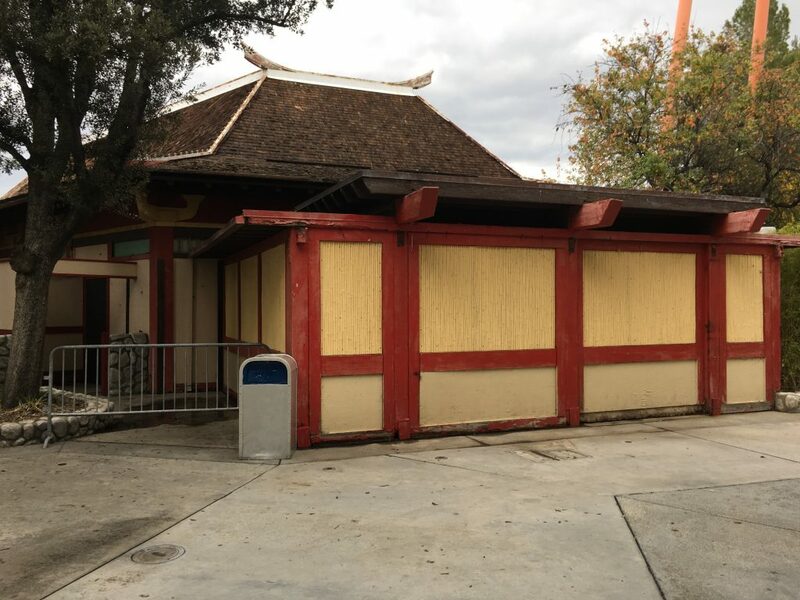 On Samurai Summit, all of the decorations have been removed from Fright Fest. 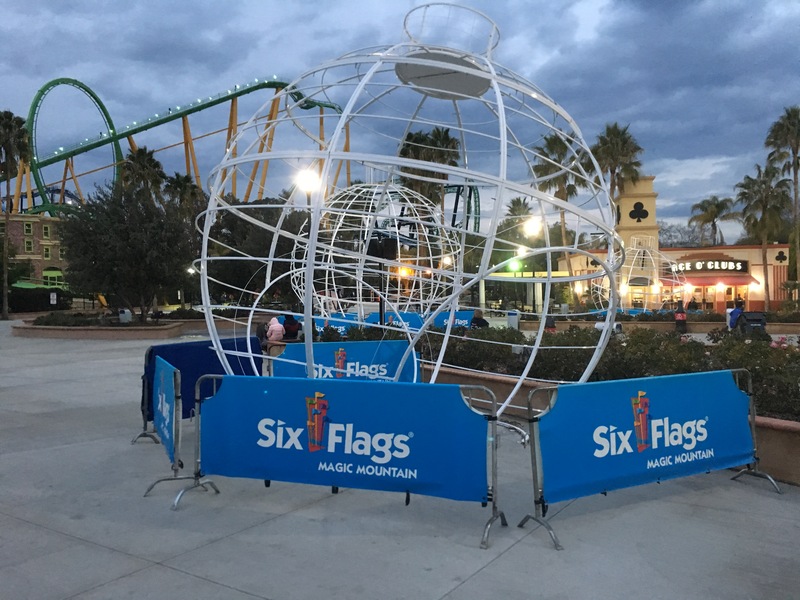 This is where the Sewer of Souls 3D maze for Fright Fest 2018 took place. This building has been home to some of Fright Fest’s most innovative mazes. Heading down the Summit, Superman: Escape From Krypton was closed today. The past few visits to the park this attraction has not been running. There is no word yet that it will be down for maintenance or closed today due to weather/circumstance. We will keep an eye on this for the coming weeks. 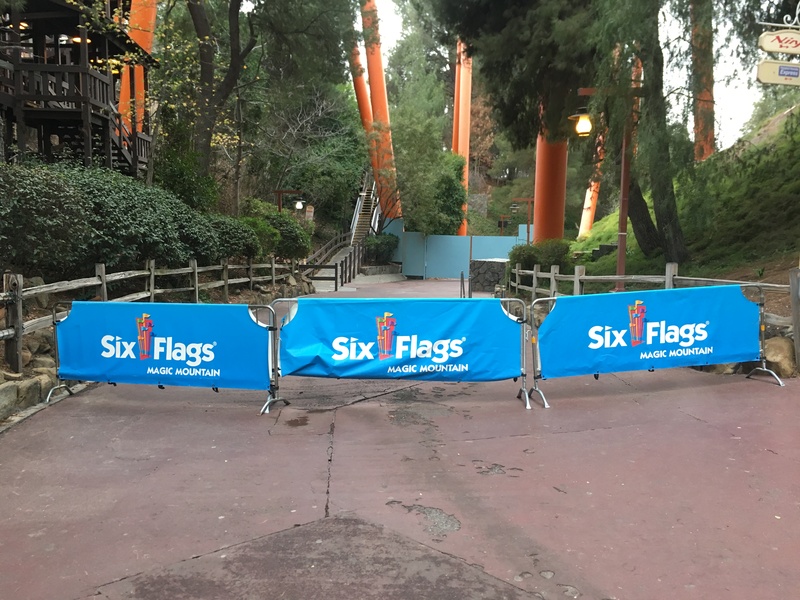 The entrance from Rapids Camp Crossing to Cyclone Bay is still down for the season in preparation for the newly themed “LA-Centric Urban” area. 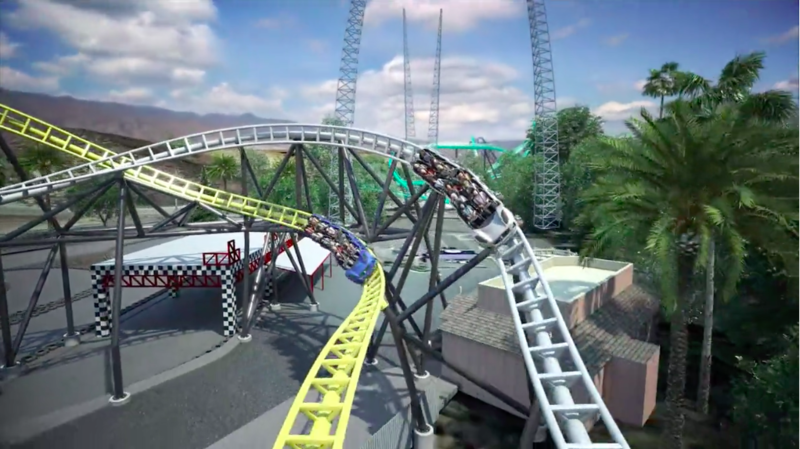 Of course, the new West Coast Racers will be the star of the newly themed area. Construction is starting to pick up on the site. From this vantage point you can see the plot has already been smoothed for the foundation of the station. 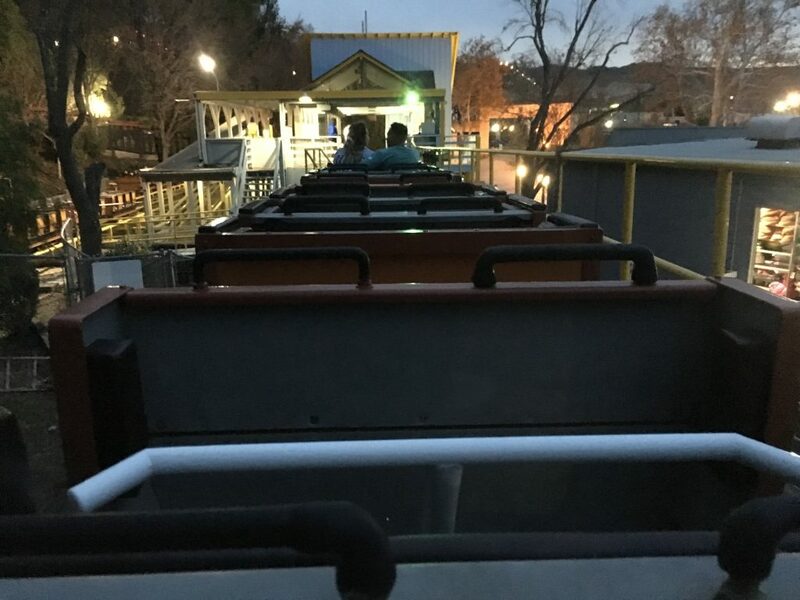 Apocalypse has had some minor re-tracking and we miss the only sole wooden coaster of the park. 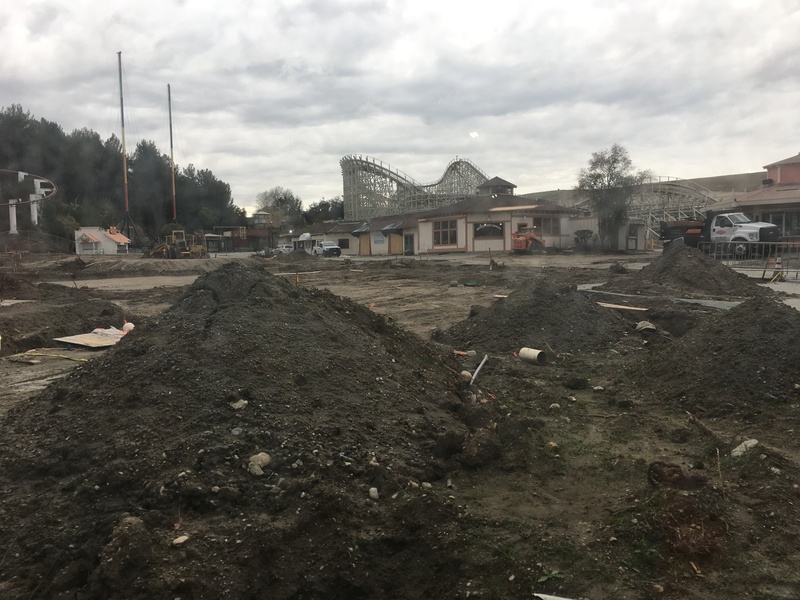 The new attraction and area have been projected to open mid/late summer 2019. The construction walls have been removed to the right, where previous buildings and midway games once stood. 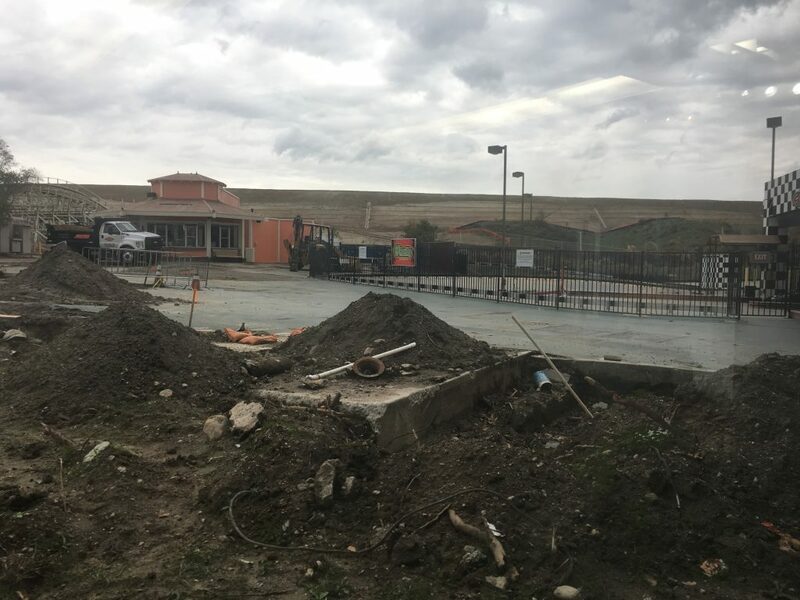 This a great sign that the entire area now is being landscaped and not just the plot of land that will house the station/pit-stop and first initial launches. 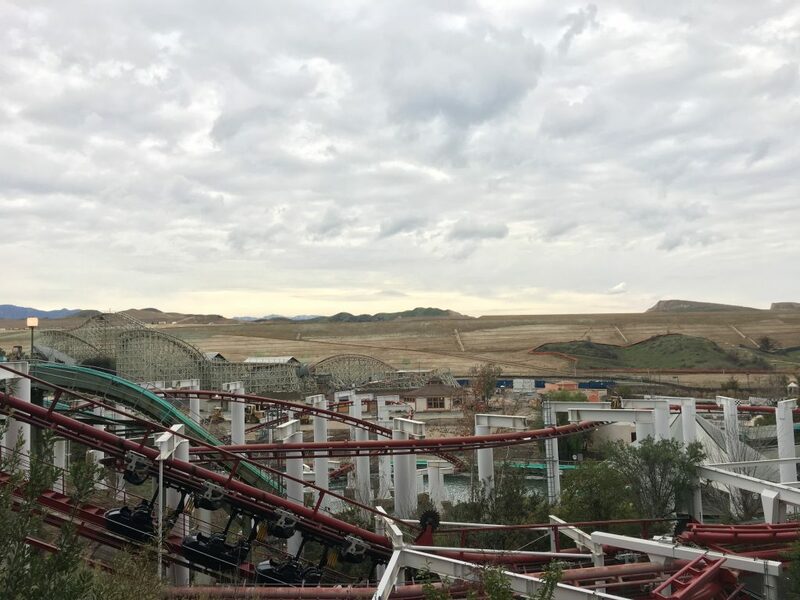 To the right, more markers have appeared on the Cyclone 500 race track. 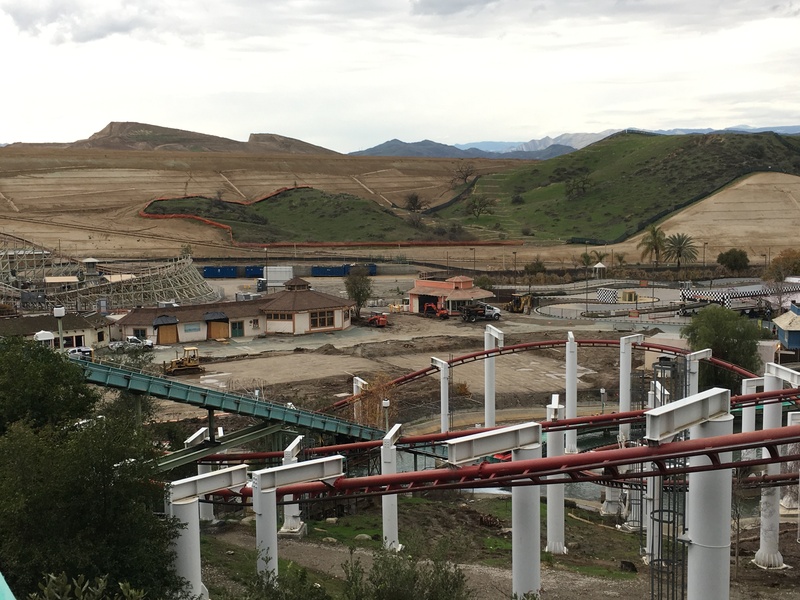 It is crazy to imagine that this view will be completely different in the next six months with supports that tower over the entire race track, that include the final corkscrew back into the station that goes right over the entrance to Cyclone 500. 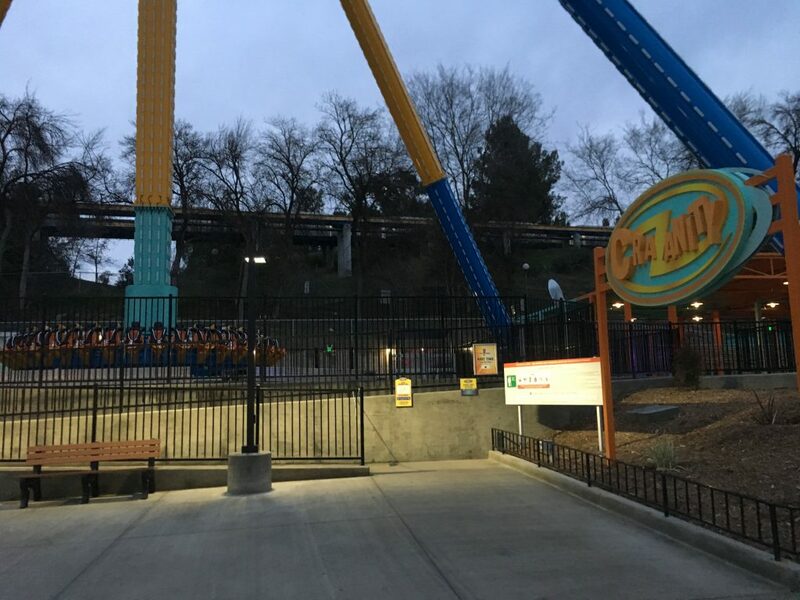 For now, Cyclone 500 is closed to the public. We are extremely excited to see the changes in the next months. In Metropolis, the life-size ornaments are still in place. Majority of the Holiday in the Park decor has been removed and the larger pieces still remain. Including this Christmas tree. 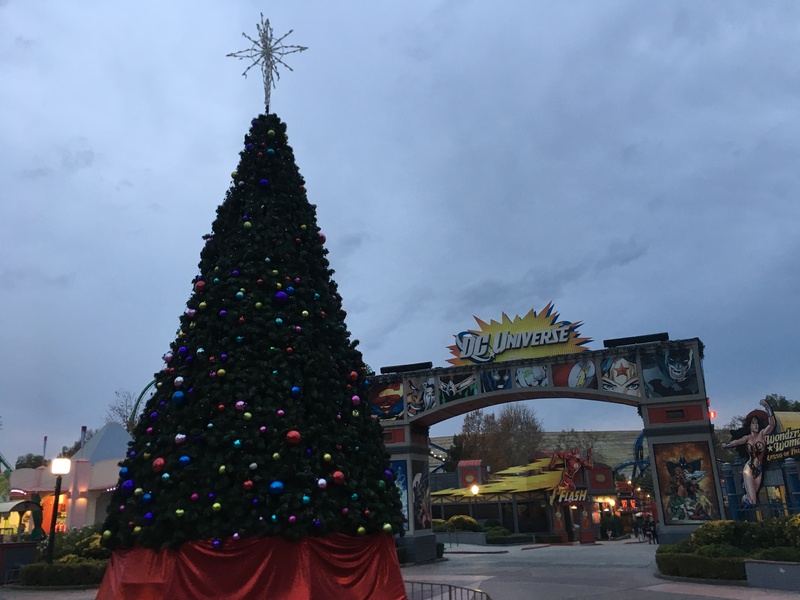 The lights that we’re used for Rockin’ Universe, one of the largest synchronized light shows on the west coast, have been removed. My favorite attraction in the park is always a roller coaster I ride every visit. 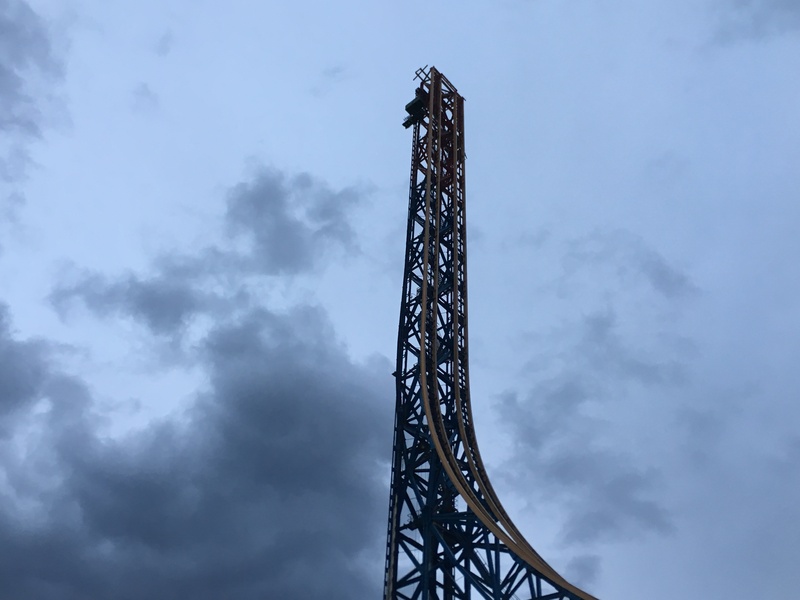 Having recently returned from Six Flags Discovery Kingdom, immediately I noticed how forceful and intense this RMC can be. 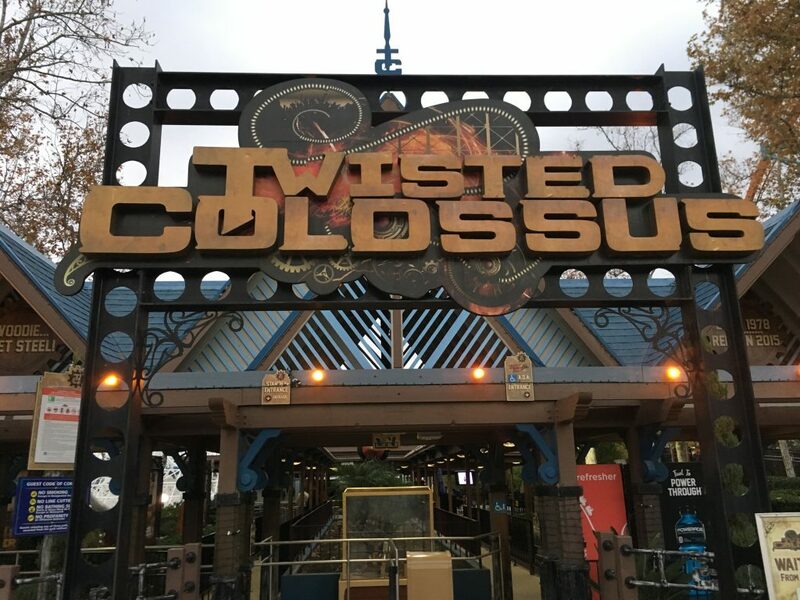 The Joker had an amazing layout, but Twisted Colossus takes the win because of its unique presence. More information can be found on why it is the best of California for 2018, Here! 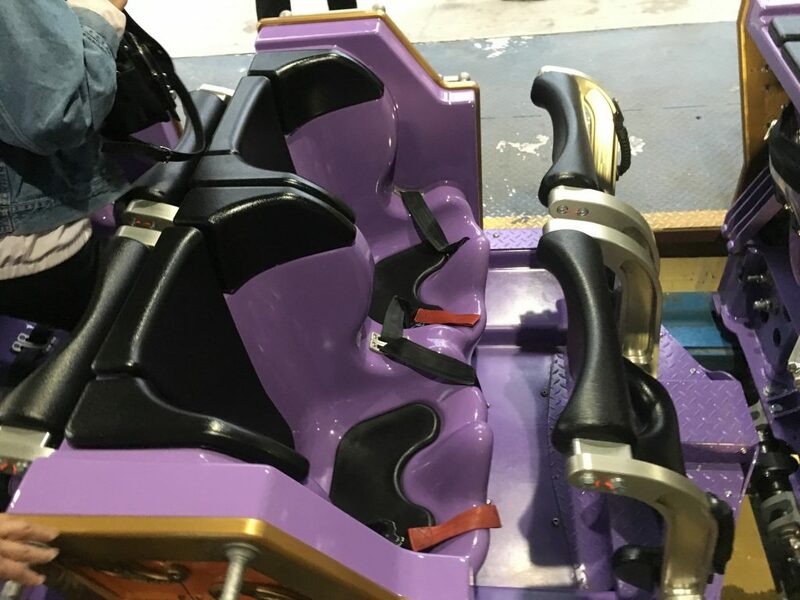 If you get a chance to experience the new refurbished purple train, do it! It is so smooth and runs very well. The lap bars are easier now to get in and out of the train. I missed a ride on Wonder Woman: Golden Lasso and so I thought I would get a ride in on Crazanity. Unfortunately, it was also down for the day. 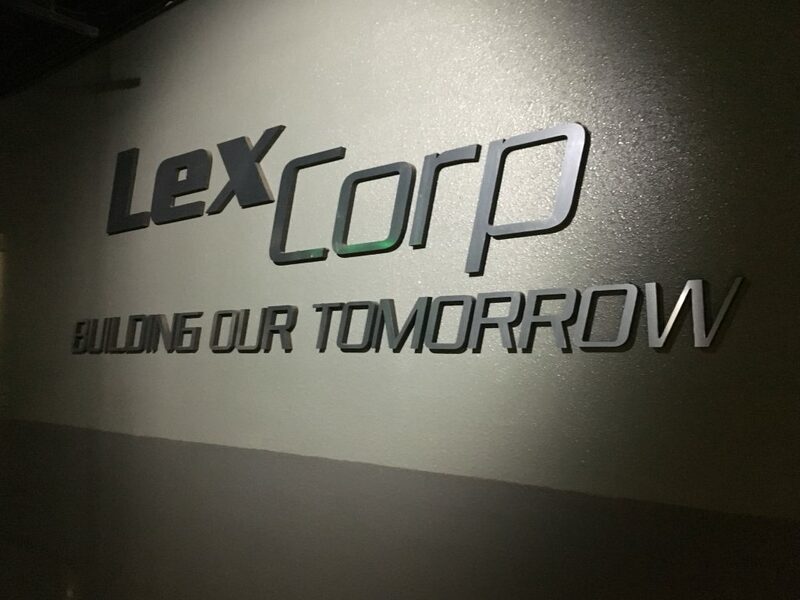 I do find it interesting that Lex Luthor: Drop of Doom was open. 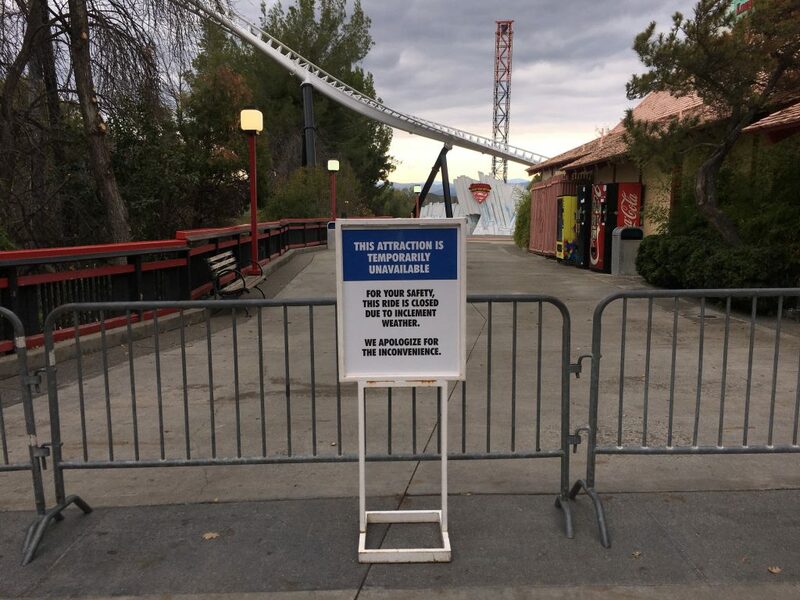 A lot of the attractions seemed to be down most likely due to the weather. That did not stop me from going to get a rush at 400 feet while it was drizzling rain. The tower looked so mysterious and I had to get an amazing view of the surrounding mountains. I wanted to take the time to give a ride shout out to Gold Rusher. The ride has been here since the original park rope drop in 1971. 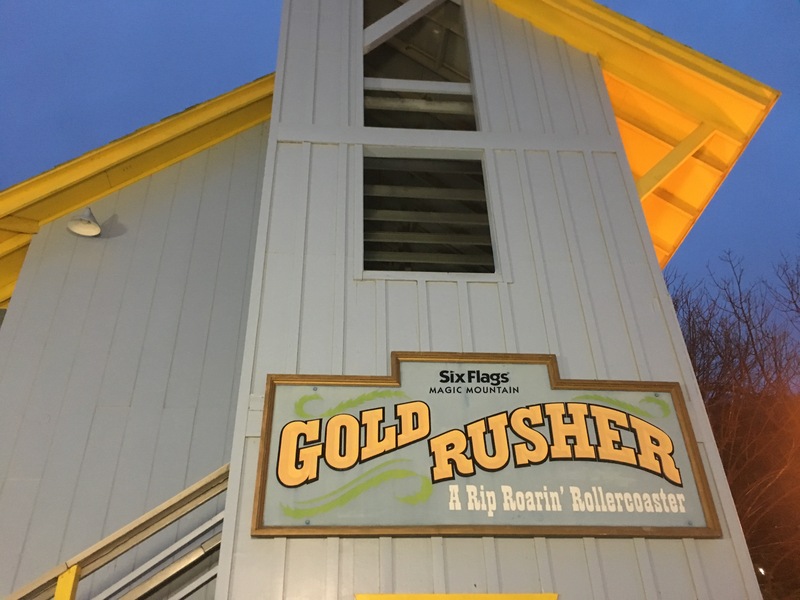 On mine trains like Gold Rusher you get this sense of conquest throughout the 2,590 feet of track that hugs the terrain. It may only go a top speed of 35 mph but the attraction concludes with a 540 degree helix that will sure bring a great finale to this update! Thank You all for taking the time to read this update. 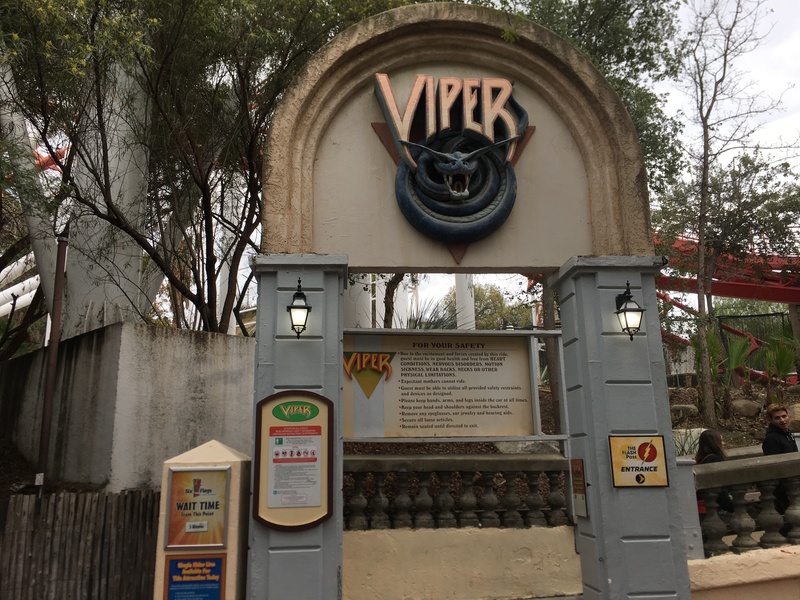 Until next time Coaster Royalty, be sure to check out our latest Phantasialand update, SeaWorld Orlando update and Universal Orlando Resort Update!